The Alton Towers Dungeon Confirmed For 2019 – TowersStreet - Your premier Alton Towers guide! With just a few weeks remaining of the 2019 season, Alton Towers have now confirmed that The Alton Towers Dungeon will be arriving in 2019. 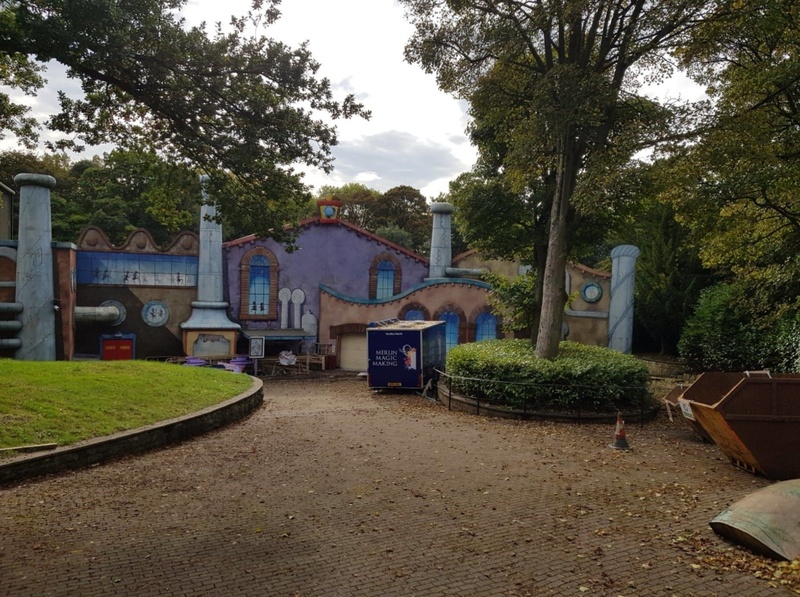 Rumours have swirled regarding a Dungeon attraction for some time, with a trademark submission for Alton Towers Dungeon being submitted in June this year. The long closed Charlie and the Chocolate Factory site has stood unused since the end of the 2015 season, after the resort initially announced a temporary closure for the 2016 season. Recent weeks have seen activity increase around the ride, with a Merlin Magic Making trailer and various being positioned outside, indicating work being carried out inside. Sources strongly suggest this will be the location of the new attraction. Further information on the attraction will no doubt be available in the coming months and we’ll be keeping track of developments on our dungeons construction page. In the meantime, the resort have launched a teaser page on the official site. Further promotional posters will be appearing at the park over this coming weekend. Are you happy with the addition of Alton Towers Dungeon in 2019 or would you prefer to see something else? Join in our discussion forums and let us know!